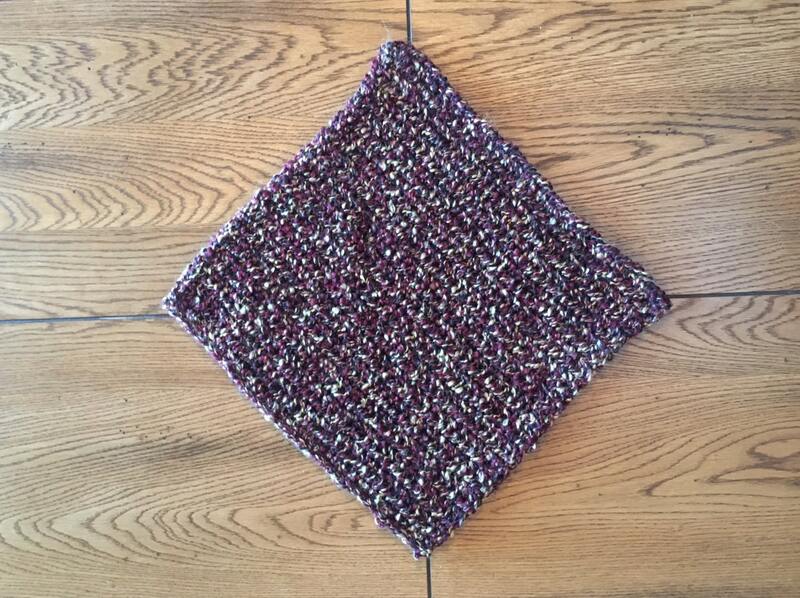 I created this scarf because I wanted a cute table scarf that would lay flat and whose edges didn’t roll. The result is a table scarf that is knit with the Figure 8 cast on and stitch. The pattern has step by step instructions and a diagram to teach even the novice loom knitter how to cast on and knit in this stitch pattern. 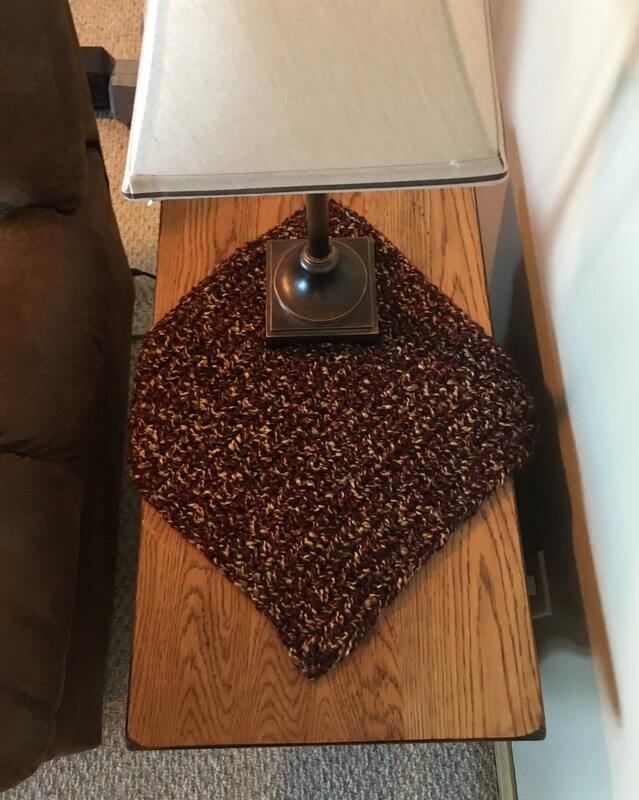 The multicolored Simple Square Table Scarf was knit on a 1/2” gauge loom and used approximately 100 yards of Lion Brand Homespun yarn in the Barks colorway. 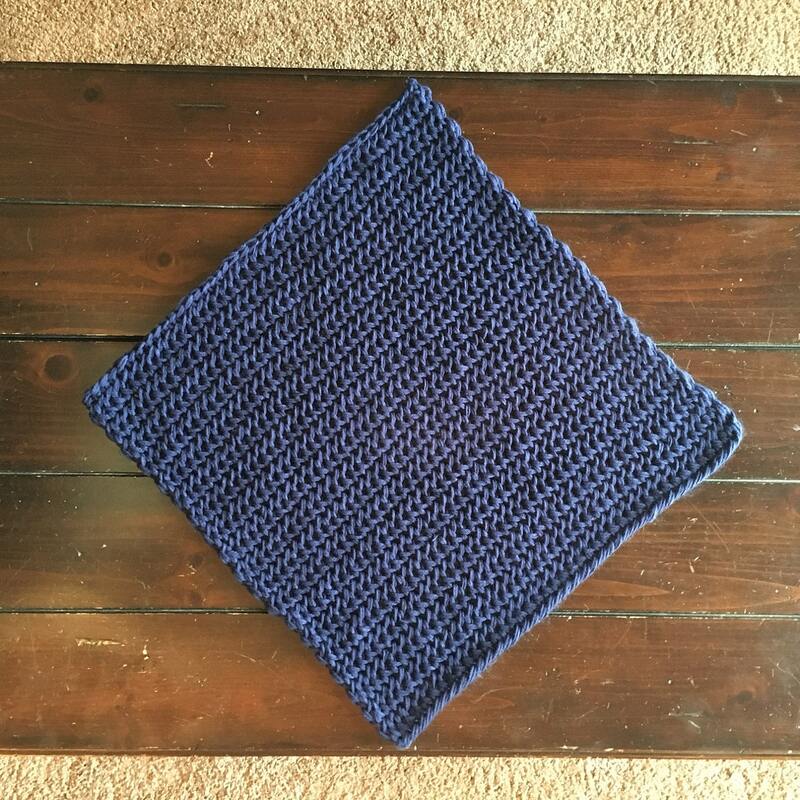 The navy Simple Square Table Scarf was knit with Herrschners Worsted 8 yarn, a worsted weight yarn. 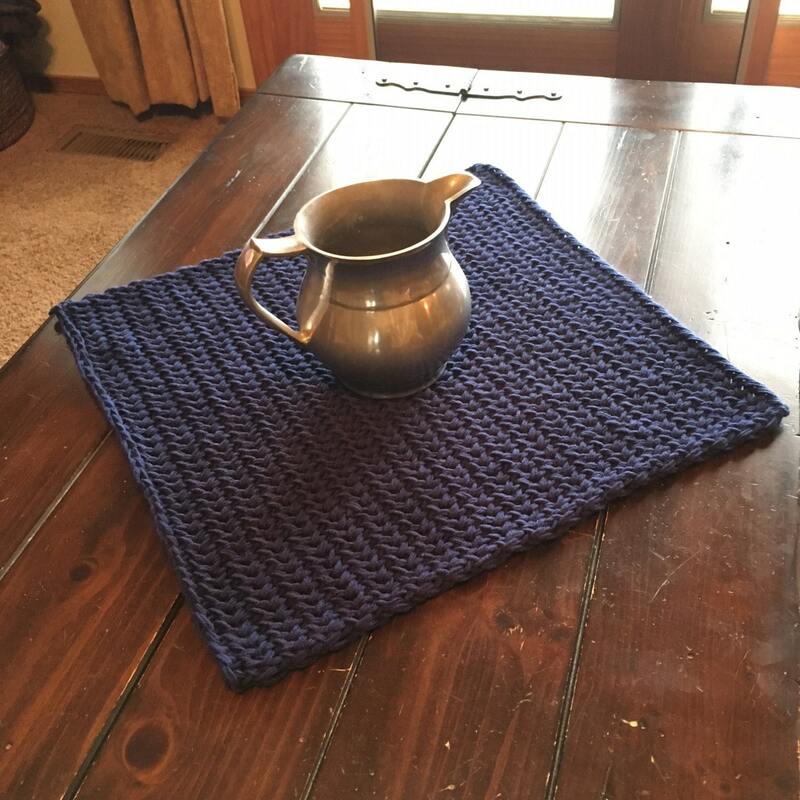 The pattern includes instructions to make whatever size you want….that let’s you design and make your own table runner, coasters, placemats…whatever you can imagine! 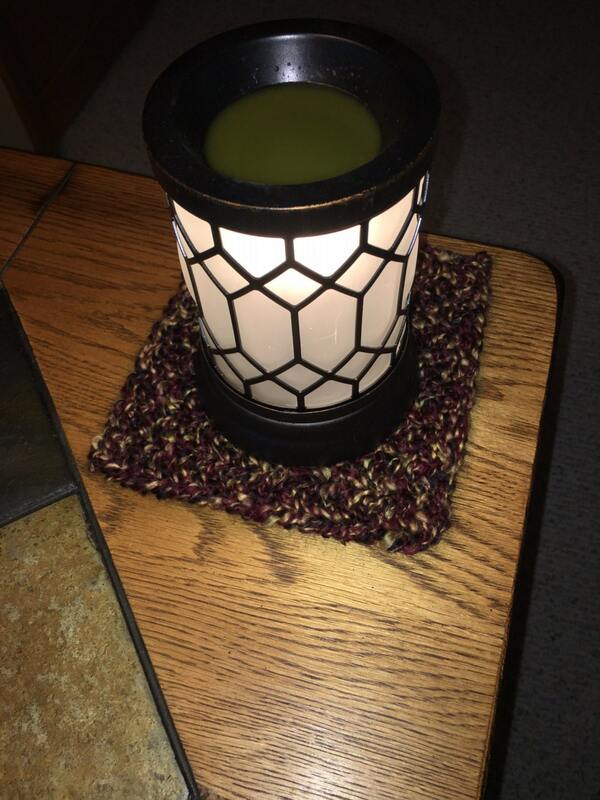 Also pictured is a 7" coaster made using this exact pattern.